Saint Pierre once rejoiced in the title “Little Paris of the West Indies.” It was one of the first settlements on the island and was the prosperous capital of Martinique. Then on May 8, 1902, Mount Pelee erupted. In 30 seconds, all but one of the town's 30,000 inhabitants were killed. The sole survivor had been arrested the night before for starting a brawl and had been thrown into a deep cell in the town jail. Although badly burned he was found alive four days later. He became such an international curiosity that he toured with P.T. Barnum's circus. 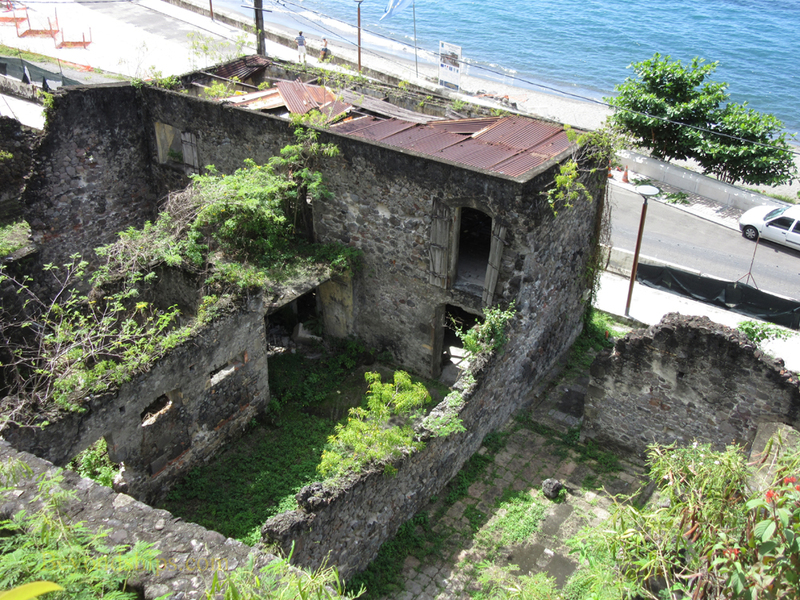 Do not expect Saint Pierre to be the Pompeii of the Caribbean. Although there are ruins of the old town here and there, it is not an archeological site. A new town has been built among the ruins and so Saint Pierre is once again a living city although it has never regained the importance it had before the 1902 eruption. The streets of the town are quite narrow and overall the architecture resembles that of a 19th century French town. Some of the older buildings have been nicely restored while others show the ravages of time. 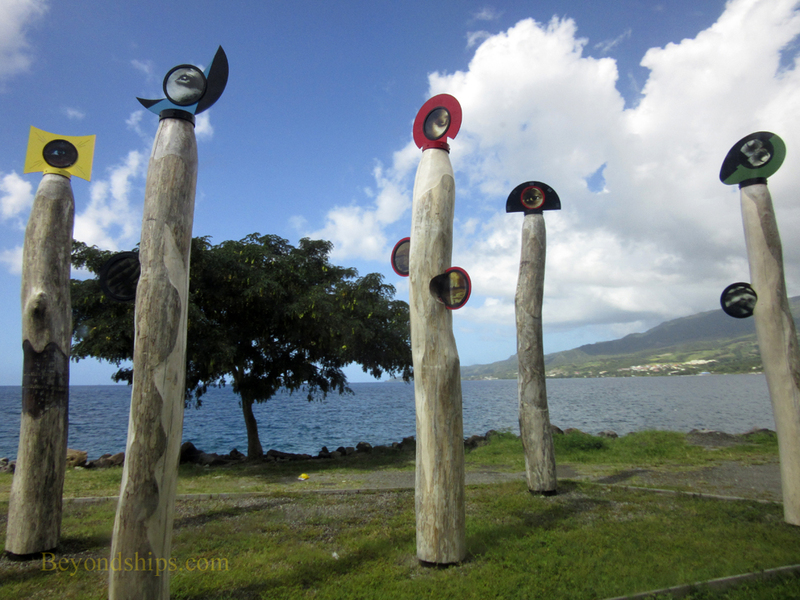 Today's Saint Pierre is known for its history and for its art colony. There is a small museum with photographs and artifacts showing the town before and after the eruption. Modern art statues and “totem poles” indicate the presence of the artists. 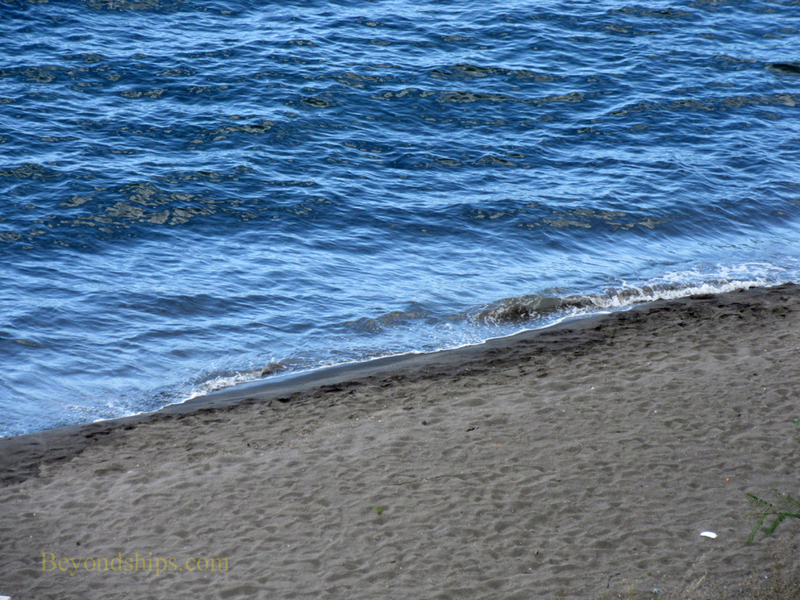 A grey sand beach runs along the town's waterfront reflecting relatively recent volcanic activity. There are also vendor stalls and sidewalk cafes along the waterfront. Above: Portions of the town have been re-built and modern buildings sit along side buildings damaged in the eruption. Below: The local museum has artifacts and displays about the eruption. Above left: Grey sand along the waterfront reflects its volcanic origin. Above right: Local artists have created "totem poles" showing their works.